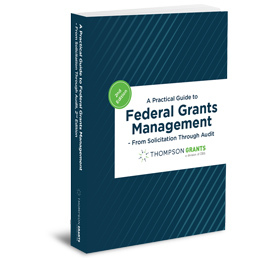 An independent audit required by the Single Audit Act may be the most important accountability tool at the federal government’s disposal for determining whether grant recipients and subrecipients have followed laws, regulations, and award terms and conditions. Unfortunately, many organizations that are subject to this annual audit requirement don’t declare their “ownership” of the process or the result. These “auditees” too often shy away from confronting the complexity of the federal requirements and the audit standards that dictate how the fieldwork and reporting will be performed. Thus, they end up in the dark about what to really expect. Yet, it is these details that will dictate the outcome of the audit process — an outcome that can have significant consequences. Audit findings of noncompliance and questioned costs can lead to demands for repayment. Asserted weaknesses of internal control can lead to burdensome corrective action plans. But perhaps even more importantly, revised federal rules now require that single audit findings be considered when federal agencies and pass-through entities make decisions about future funding. So, there are plenty of reasons why even governing body members, as well as staff of auditee organizations need to understand the single audit requirement and effectively manage the process of meeting it from start to finish. This webinar will help everyone gain a practical understanding of the process and explore best practices for managing it. Bob Lloyd, principal of Federal Fund Management Advisor™, will lead this informative and timely tutorial and will translate the detailed federal requirements into actionable steps for you to take. Attendees will receive presentation slides as well as access to background materials. The costs of webinars sponsored by Federal Fund Management Advisor™ are allowable charges to your federal grants and subgrants. The cost principles issued by OMB under its uniform guidance (and applicable to all types of awardees) state, “The cost of training and education for employee development is allowable” (2 CFR 200.472).